I’m having so much fun playing around with my new Brother Embroidery Machine. 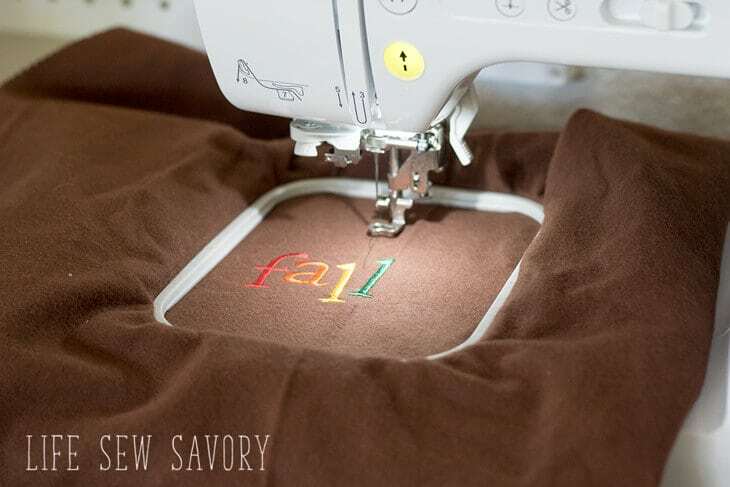 The Brother Innov-is is a great “normal” sewing machine AND a fun embroidery machine… all in one! Fun times! I was provided with Brother Machines for this post, but all opinions and thoughts here are 100% my own. 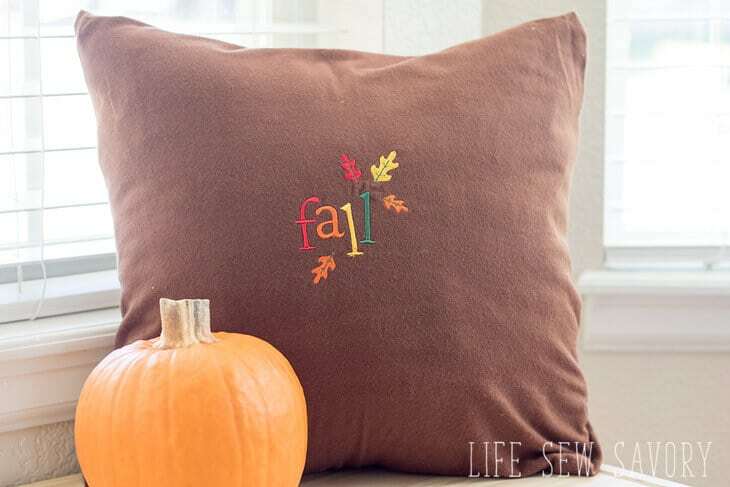 Look at how fun is this fall design!! 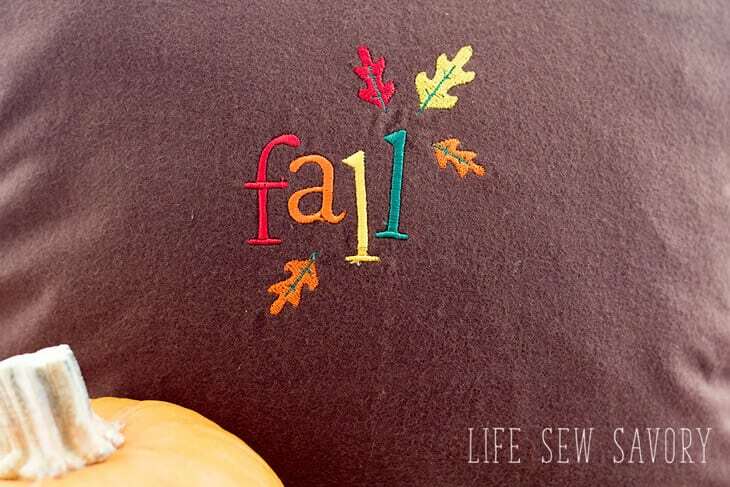 I thought I would start with a fall project since it’s actually fall now! I’m experiencing my first fall weather in 14 years and it’s just fabulous. 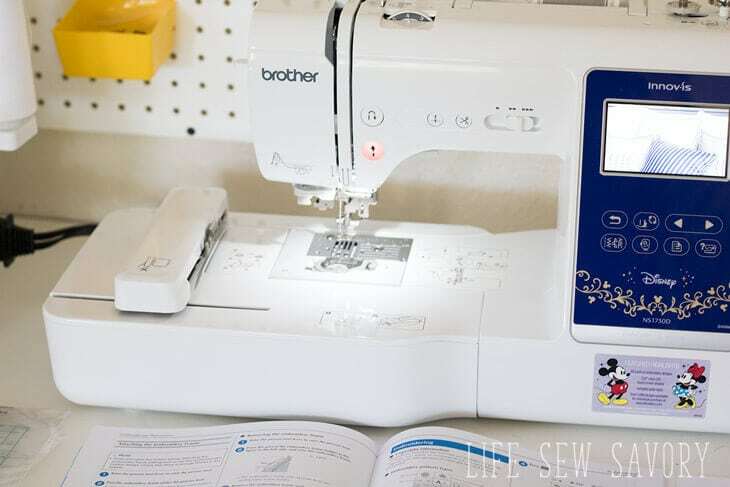 The Brother Innov-is is a great sewing machine. I’ve been using it for several weeks as “just” a sewing machine and I’m loving it! 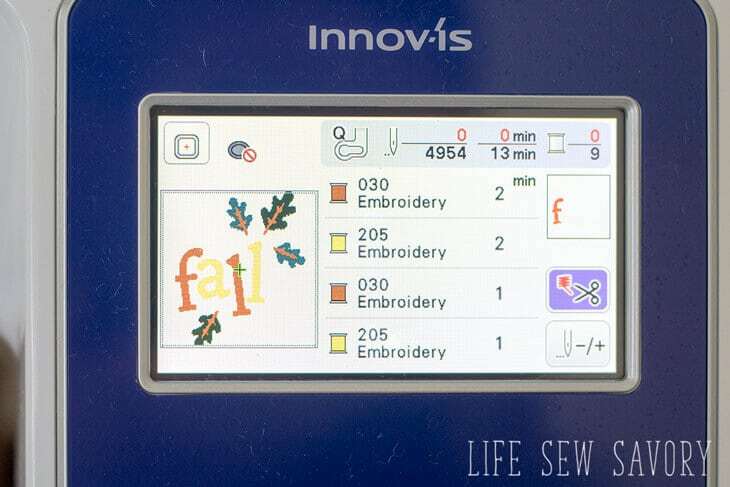 This week it was on my to-do list to try the embroidery feature. Look what I made!! From reading the instructions to actually making this, the time was about 1 hr. SO simple. The next projects will be even faster as I don’t have to read the instructions again. The Innov-is has MANY, MANY built in designs including some DISNEY designs that I need to try soon. You can also buy designs online, download them to your computer and use a USB stick to transfer them to your machine. EASY! 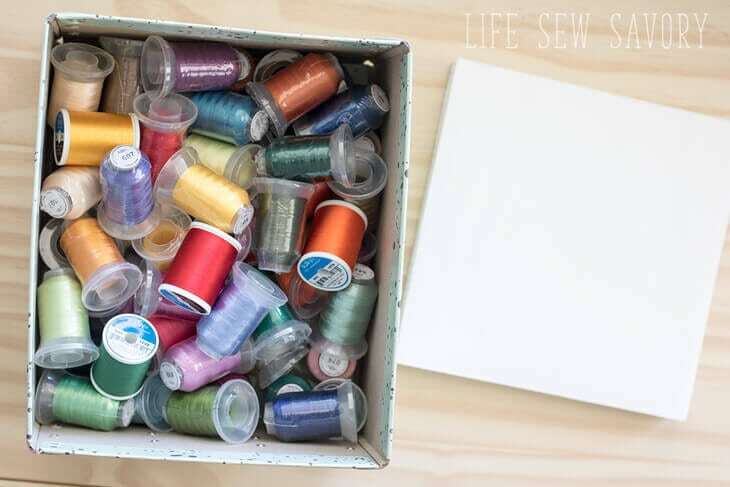 When I was planning for this project last week I bought thread at Joann’s…. $8.00 a spool? WHAT??? I came right home and looked online… whew… I found that there are better deals I purchased a box of embroidery thread and some stabilizer on Amazon. 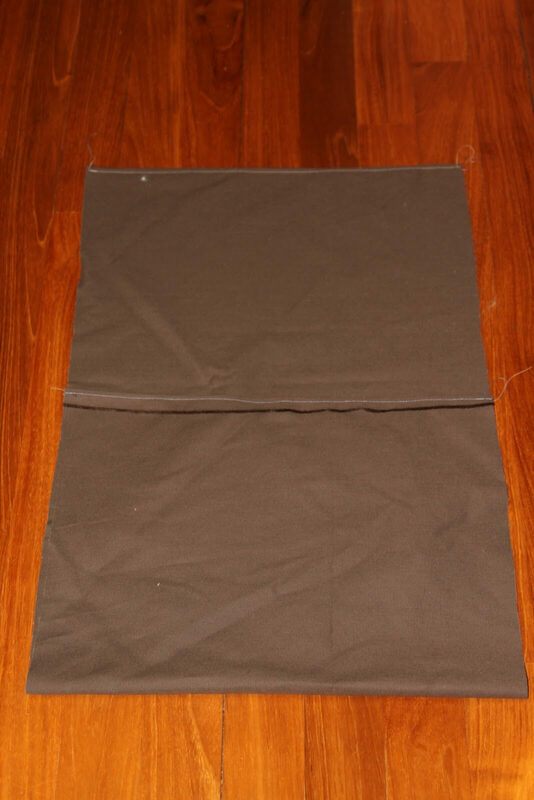 You can find the same Embroidery Thread and Stabilizer that I used HERE. Here’s a quick video that give yous an idea how it’s all done. 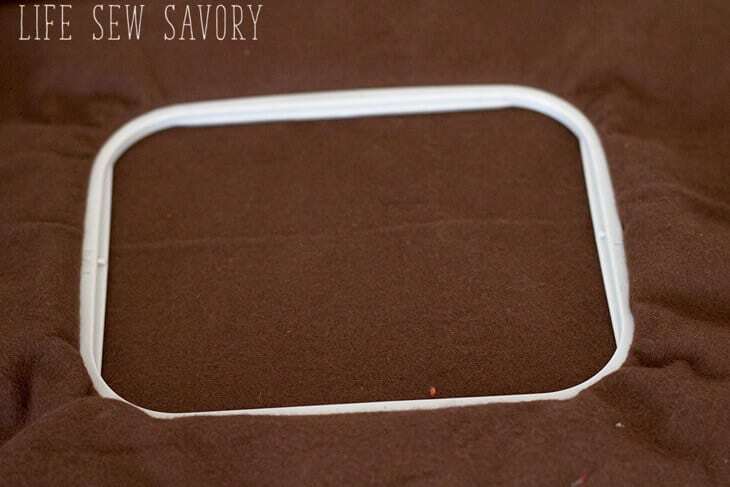 Prep your fabric with stabilizer on the back and place it in the machine hoop. The machine comes with two different plates.. I removed the regular one and put on the embroidery plate. Once this is snapped in place the machine becomes an embroidery machine. 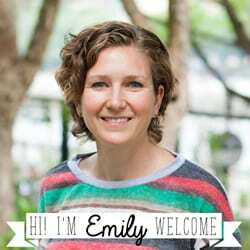 You can make many edits to your designs before you start. I changed up some of the colors on the design. Because this machine is a dual purpose you have to load one thread color at a time. The screen guides you through when and what color to use. I had to stay close to keep changing the thread, but it was really simple to understand and use. And here’s the final result… love it! I made my fabric into a simple envelope style pillow and now we have our first fall home decor. 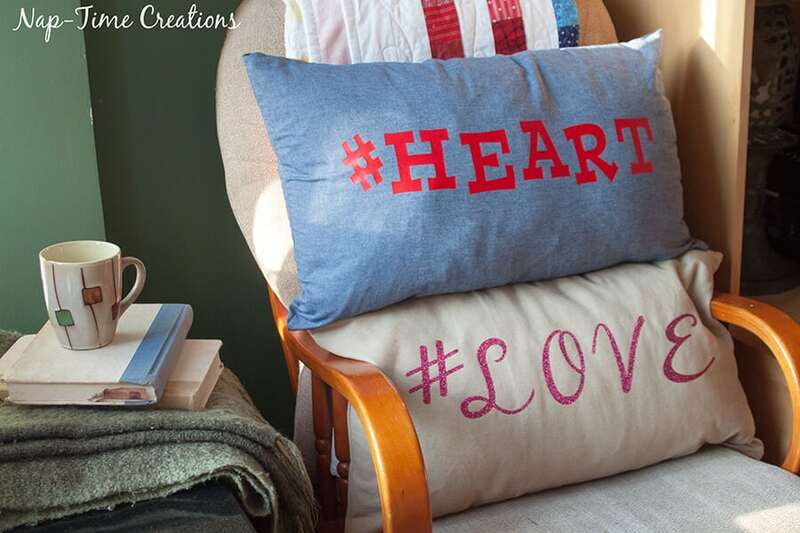 Here are some other fun pillows I’ve made over the years. Your pillow looks great! I would be making things all the time if I had this. Love it! I like how your Brother machine has a color display screen. What size hoop(s) does your machine use? My e400 has a 4 inch hoop and I quickly learned I need a machine with a bigger hoop to embroider all the things! 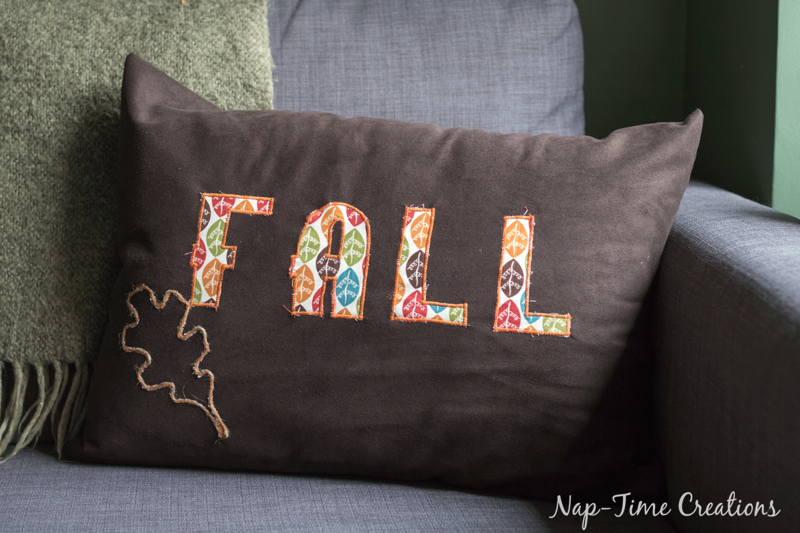 I can’t wait to try one of your fall pillow DIYs. Thanks for sharing at the Inspiration Spotlight party @DearCreatives Pinned & sharing. the designs on the pillows are quite impressive and cant wait to do them on myself. the accessorizes you used is that efficient and available?